Patricia Hiles is a twice-elected member of the Hope Elementary School District Board of Trustees in Santa Barbara County, in 2006 and 2010. She has also been an elected member of the County Council of the Green Party of Santa Barbara County. A retired attorney/arbitrator and a credentialled teacher for 45 years, Hiles has a B.A. in Social Sciences from Long Beach State University; a M.A. in International Relations from George Washington University; and Doctor of Jurispurdence from La Salle University. 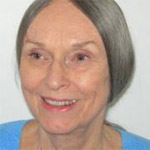 As an activist, Hiles began in 1965 bt joining the ACLU in Los Angeles, where she participated in all levels of the ACLU, including as vice president of the Santa Barabara affiliate when she moved there in 1982. Since then Hiles has participating in the following organizations: Santa Barbara Women Lawyers, the Living Wage Coalition, the Pro-Choice Coalition, Conscientious Objectors and their Supporters and the Committee for Social Justice.